Deckorators is a top name brand for outdoor deck products. 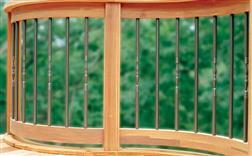 Deckorators manufactures deck railing systems, post caps, deck balusters, and more. Visit the Deckorators webstite at www.deckorators.com.